The customer, a leading real estate company located in the North American Continent. The company is web based property listing portal contains the capturing of the map datasets, integration of the spatial and non-spatial datasets together for Cayman Islands. The online property listing real estate web based portal is essentially an interactive portal for property buyers, sellers, and agents/brokers. 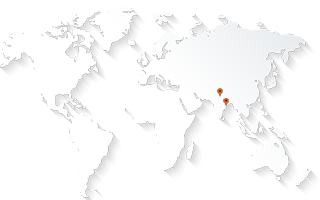 The company required AABSyS to prepare GIS data, Website development, testing and deployment. AABSyS created a team of four highly skilled software engineers to complete the given project. All the requests regarding the changes in the deliverables were received by AABSyS as tasks in the pre-designated task management system. The team worked on GIS data preparation. Once the data was prepared, the website was developed and updated accordingly. The updated tasks were reviewed and the changes were made as per the customer’s feedback. The website and the data was tested in accordance to the norms of the industry and the website deployed. Three members of the team worked on the GIS aspects of the project where as one member was responsible for data mining. A team of highly skilled experts was assigned for completion of the unique project. The four member team completed the project in a duration of fifteen months. The project was completed on Windows platform. AABSyS was in continuous correspondence with the clients using Skype, E-mails and Bugzilla (Bug tracking tool) in order to solve any queries. AABSyS has been providing software services for more than 15 years now. The client appreciated the work done at AABSyS as the deliverables were provided in a time bound, cost effective manner. An extensive quality assurance procedure ensured delivery of flawless website.